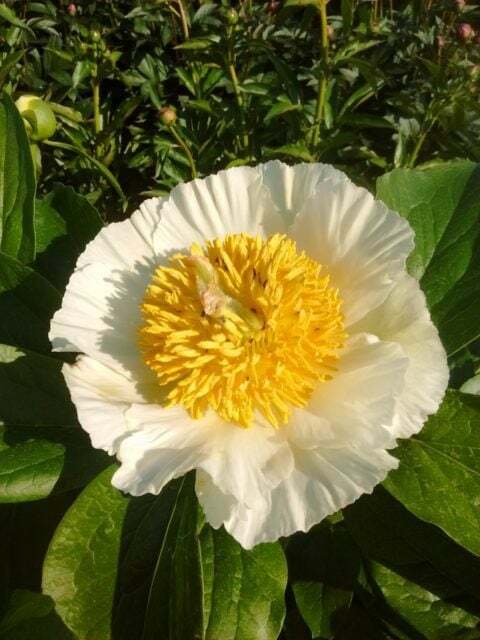 This double white lactiflora peony from an open pollinated seed from Carl G. Klehm is arguably my favorite double white lactiflora that can be used as a cutflower. 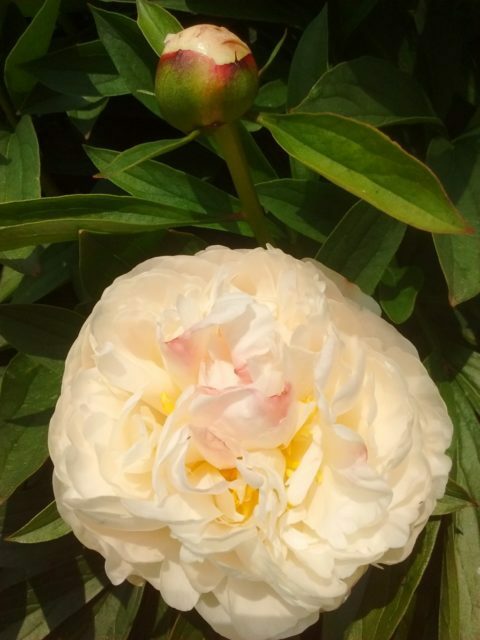 I got a few seeds from Carl G. Klehm that grew into mature plants, but this was the only remarkable one. 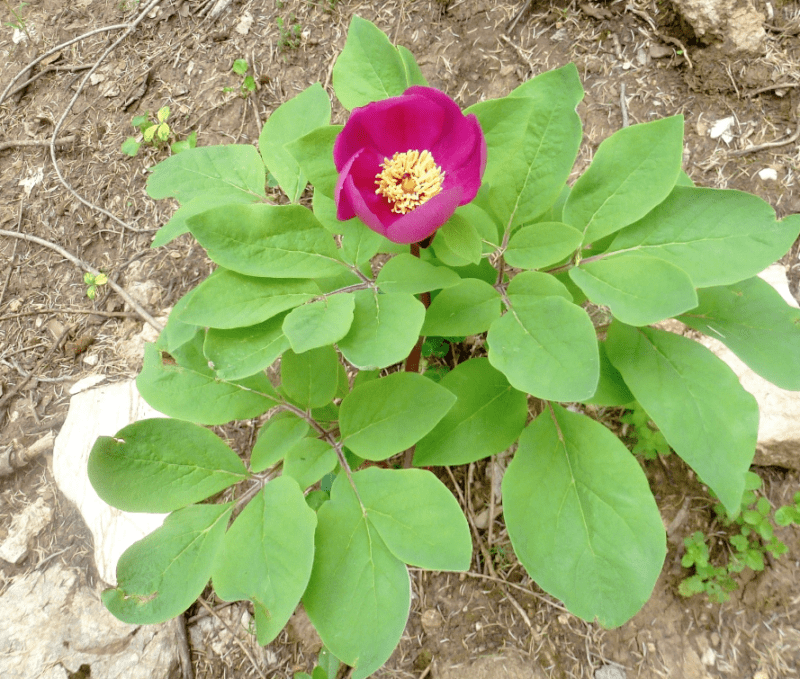 It’s no good as a garden plant unfortunately. 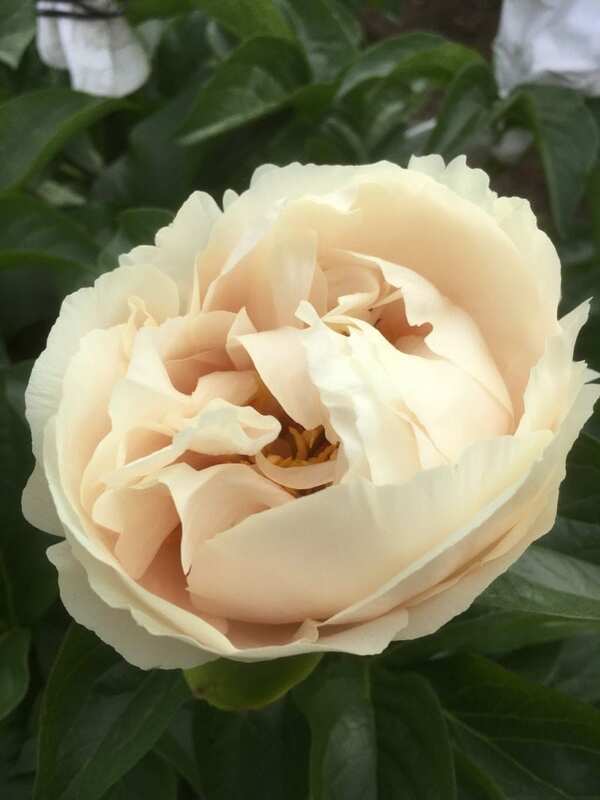 The foliage is not particularly attractive (somewhat open and the very lower part of the stem has none), but most importantly during rain and wind the open flowers will be too heavy for the stems to carry them well. 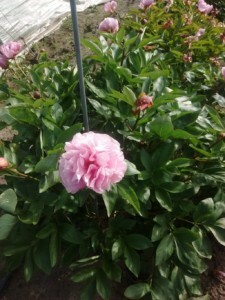 -they have a very, very strong agreeable fragrance. 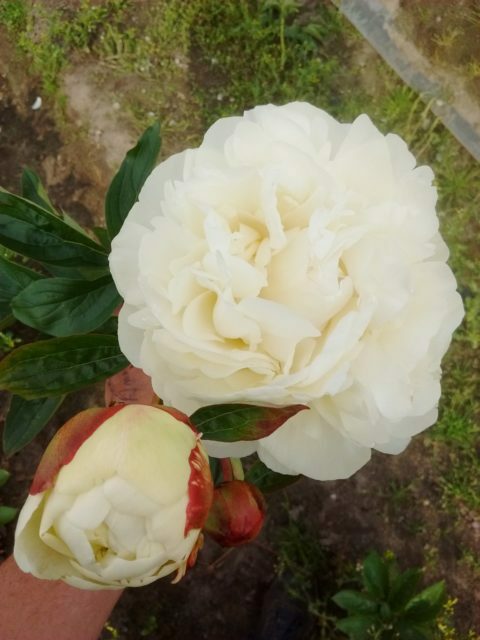 Although it cannot compete with the double pink Myrtle Gentry, the absolute queen of fragrance, it surely ranks among the most fragrant whites. -there are 2-3 sidebuds on average, but disbudding them is discouraged simply because these sidebuds will also open perfectly well. 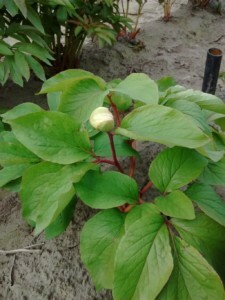 The following picture shows a flower that was cut when then the main bud was still closed. 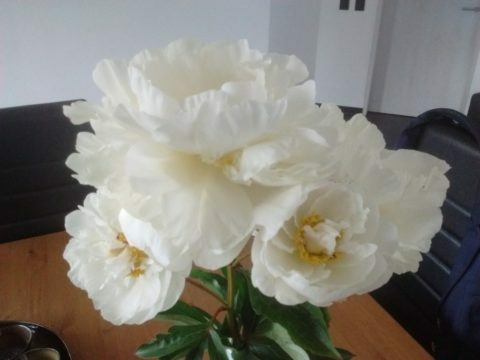 That main flower opened well, but to my surprise then, the sidebuds also opened as well, from the first to the last, although less double; something I had never seen before. 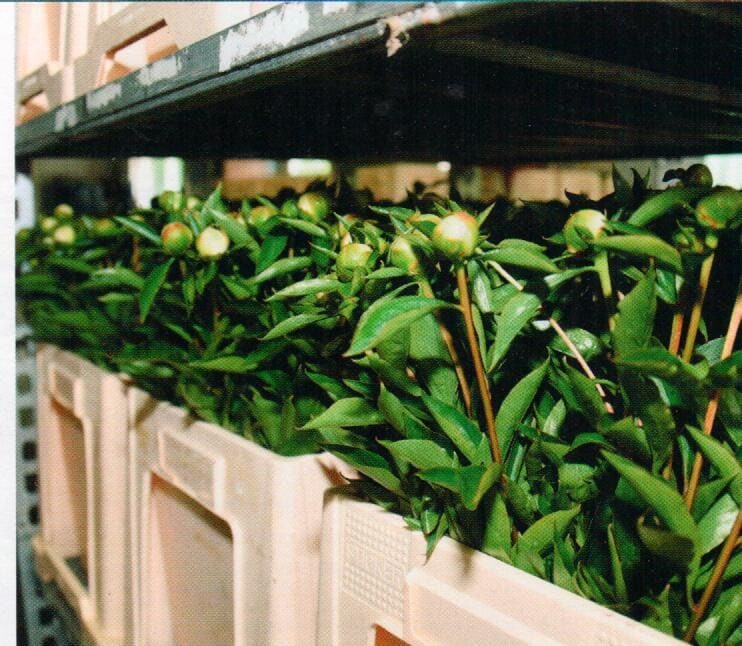 This is extremely important for a good cutflower, there are only a few peony varieties that always open well from tight buds (and many of those tend to have a short vase-life unfortunately, not a problem here). 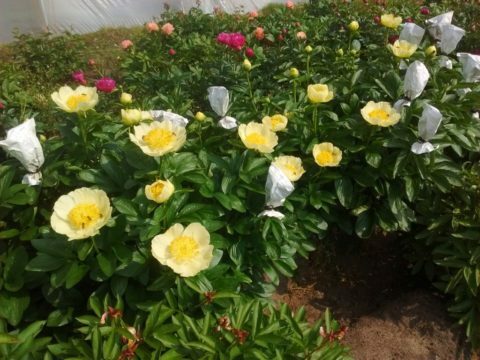 When florists are surveyed about the good and bad about peonies, one main issue always comes to the fore: peonies that don’t open well. The main offender is Sarah Bernhardt, which has to be cut rather late. 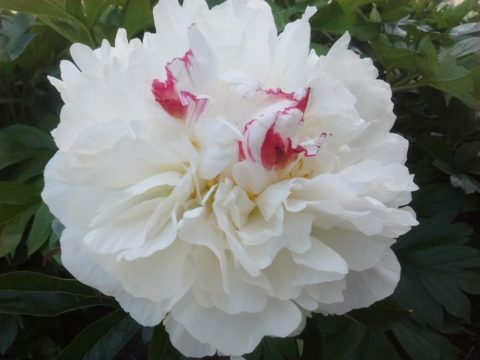 A customer that buys a peony that doesn’t open well is unlikely to revisit… So peonies that always open well have a bright future ahead if you’d ask me. It’s fair to say that we have high hopes for this one. 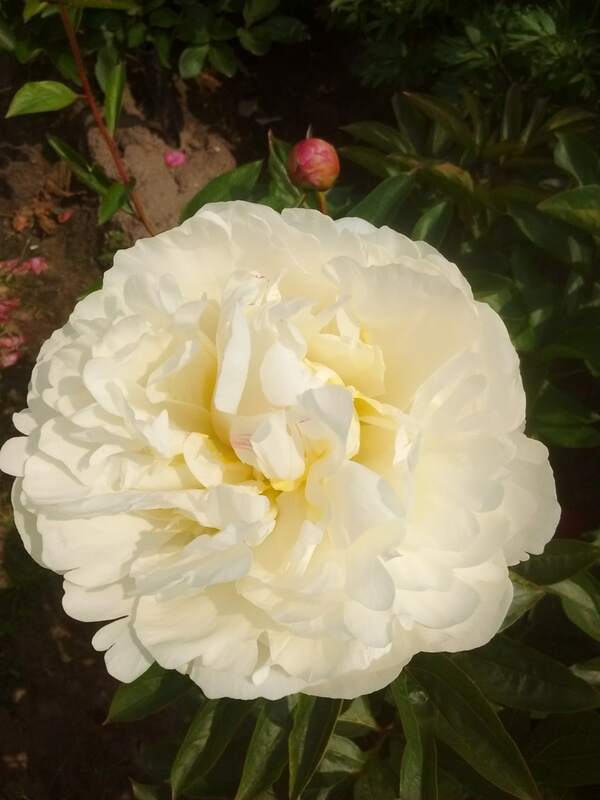 I’ve provisionally named it ‘Serendipity’ as this one was in fact only found by sheer accident, I was not trying to find a double white, but here it is. Of course we’ll need to observe it further the following years to see whether it’s not overly susceptible to diseases, and if it’s reliable from year to year.